For my card I used the set, Priceless Joy. This is adorable Tracy! Love the DP you've used and that cute little elephant! too cute...i love this little elephant...great card. This is so cute! 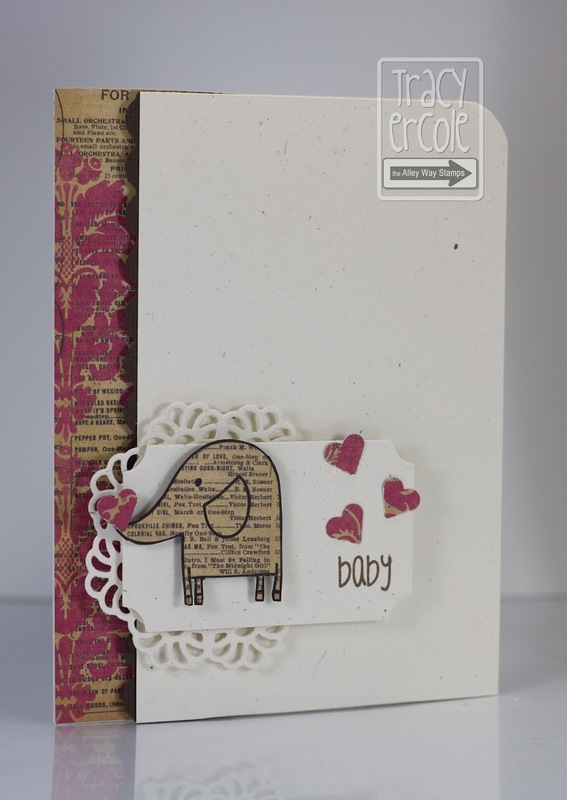 Love the elephant made with newsprint paper, and the fancy diecut behind it! Such a beautiful card! Really cute! So cute! Love the text elephant! 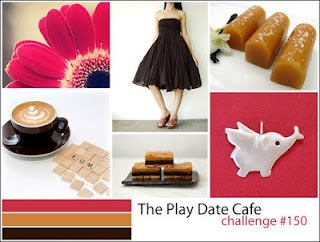 Thanks for playing this week at The Play Date Cafe. seriously CUTE!! Thanks for playing with us at The Play Date Cafe!!! oooh, love your stamping on newsprint, so sweet! Super cute, Tracy! I love the TAWS elephant and how you paper pieced her! The patterned paper is great. Thanks for playing along with us at The Play Date Cafe!